SHORTLISTED FOR THE CRIME WRITERS' ASSOCIATION INTERNATIONAL DAGGER 2013. Florence, 1965. A man is found murdered, a pair of scissors stuck through his throat. Only one thing is known about him - he was a loan shark, who ruined and blackmailed the vulnerable men and women who would come to him for help. Inspector Bordelli prepares to launch a murder investigation. But the case will be a tough one for him, arousing mixed emotions: the desire for justice conflicting with a deep hostility for the victim. And he is missing his young police sidekick, Piras, who is convalescing at his parents' home in Sardinia. But Piras hasn't been recuperating for long before he too has a mysterious death to deal with . . .
Set in Florence in the 1960s, this is the third in the Inspector Bordelli series of atmospheric Italian crime. 5.0 out of 5 starsIndeed this is a novel to feed the senses. A beautiful, twisting, turning novel. Wonderfully descriptive and thought provoking. With Christmas fast approaching, Bordelli and Piras (covertly) investigate their own crimes from afar. Still drawing from each others knowledge, with the use of the newly installed telephone in the home of Piras parents, Bordelli assists Piras unravel an awful murder by a murderer of the worst kind with an evil secret past. 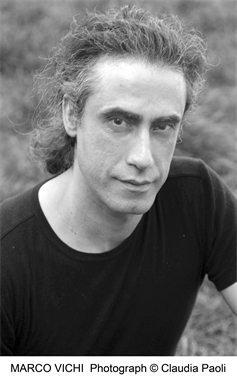 Bordelli frequently takes you back in time with his 'difficult to forget' memories of the war. Also memories of his past romantic liasons. Piras likewise gets swept back to the past listening to the memories of his elders as they all gather around the fire. A novel to be savoured for sure. 4.0 out of 5 starsAnd a death in Florence! This is the first of the Inspector Bordelli mysteries that I have read. When I began reading I thought it was a slow-moving and long piece of work, but gradually I began to understand that the many reminiscences eventually have a point and are relevant to the plot. The title is slightly misleading because there are two deaths,only one of them is in Sardinia. However, that doesn't spoil the book...once it reaches Sardinia. The two investigations into the deaths are written in one time sequence, over the Christmas period early in the 1960s, which may not be to everyone's taste with its, by now, historical references to pop groups, drug-taking and dances of the time. Life in Sardinia is very rural in contrast to the more sophisticated cutlture in Florence. Inspector Bordelli has a difficult choice to make when he uncovers the murderer, who has in effect, rid the city of a vicious usurer and blackmailer which improves many peoples' lives We have to wait until the end to discover how he deals with his dilemma. The death In Sardinia is a wholly different sort of death; more complex and at first not thought to be a murder by the investigating police. It appears to be a tragic suicide. We know that won't be the case of course, but how the plot unfolds is very clever. The novel is peopled by a whole range of characters, including many who were in the war. I learned a great deal about Italian history and the internal battle with the Fascists which was bubbling under the surface the whole war time. And the war references do not always make easy reading. All in all I enjoyed this book. It has depth and breadth. I would recommend it to anyone who is looking for something more than just a plain straightforward murder mystery. 5.0 out of 5 starsThoroughly enjoyed this trip back to 1960s Italian style. A great read. Takes you back to early days of tv and old war stories of these credible characters. Inspector Bordelli is a different breed of policeman, trying to do the right thing. Descriptions of local cuisine and Christmas in Sardinia make one feel a part of the cast of characters. I just loved the section with the tales told by the guests, in turn, after dinner on Christmas eve. 5.0 out of 5 starsItalian laid back detective novel based in the mid sixties, lovely! I am slowly reading the Bordelli books and loving them. This book involves 2 murders 1 in Florence another in Sardinia ( there's a surprise). 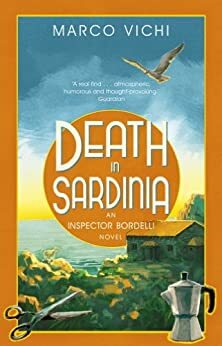 Inspectors Bordelli s junior Piras is convalescing back in Sardinia where a family friend commits suicide, or does he? The Inspector investigates the murder of local Loak Shark a nasty piece of work. The stories are full of the Italian laid back way of life in the Sixties with plenty of good food and drink, mixed with remminicent stories from the War and the introduction of the Teenager, where anyone over 40 was viewed on as a dinosaur! A lovely book with the Inspector having it seems having more than his fair share of villains as friends! 4.0 out of 5 starsAn intriguing look into Italy's past. This is the third book in the series with Inspector Bordelli as the main protagonist. All of these books are a mixture of murder, of thoughtful characterisation, descriptions of great food and, above all, a sympathetic and humanitarian Bordelli. In this book, in particular, there are many reflections on WW2 and Bordelli's own involvement with the anti-fascist army. Several characters reveal much about themselves through their own story-telling. Despite the title, two-thirds of the book takes place in Bordelli's home of Florence. It is one of his force, injured in a shooting, who is recuperating in his home of Sardinia, who stumbles upon a murder - again, with WW2 connections - hence the title. Perhaps a "slower" book than the first two but no less fascinating. It's not often that one learns about history through a detective novel. This book is set in the past (1965) with the central character having been a soldier in the second World War, he is haunted by memories of that time and fallen comrades. The book is two tales running side by side, events in the past are impacting events in the present, one could argue that the author is exploring Italy's troubled past through the medium of crime fiction. Another classic Bordelli murder to solve. Actually two separate murders in two different places makes this unique from the previous novels in the series. As usual though it is the life that Bordelli leads that makes these books so enjoyable!